Ginger High- Books R Us: PURCHASE A COPY OF LADYBIRD LADYBIRD AND YOU MAY WIN A KINDLE AND AN AMAZON.COM GC. PURCHASE A COPY OF LADYBIRD LADYBIRD AND YOU MAY WIN A KINDLE AND AN AMAZON.COM GC. Crimson Oak Publishing is proud to announce the release of the YA novel Ladybird Ladybird by Abra Ebnar. Purchase the Hardcover book or the Ebook by October 9th and You will be entered to win a Kindle 3G (No ads) and a $25.00 Amazon.com Gift card. Please visit the giveaway site for more information and rules. 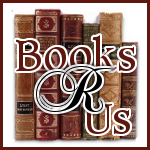 Please mention that Eileen at booksrusonline.com referred you. Samantha was born on a full moon to a mother already dead. Revived by doctors and given to her unloving father, Samantha was raised a cursed child, her only friend the ghost of her mother who speaks to her through keys that open a secret box Sam hides under her bed. From the inside out, Sam burns with life, a fire so vivid it keeps her peers at a distance, all except one. Leith, a quiet farm boy with a broken heart and demons of his own, enjoys the seclusion his classmates grant him, but the seclusion is all too familiar to Sam, drawing her interest. For the first time in their lives, fate pushes them together, but when their worlds collide…fires burn.